This webpage gives you options for English to Portuguese translation. Whatever is your need, whether casual or professional, this page is sure to be of help. If informal English to Portuguese translation is required, our free English to Portuguese translator will assist. It’s a simple tool that can be used by everyone. The user adds the text in the box. A simple click on the ‘Translate’ button will promptly generate the translation. For professional English to Portuguese translation tasks, however, we have skilled professionals who will be able to take on your task and translate English to Portuguese as required by your documents/projects. The finished task will be delivered in the promised turnaround time and will be free of errors. Do get in touch with us for a quote for your professional translation from English to Portuguese texts. Portuguese is a language belonging to the Romance group of languages. It has its roots in Latin. In 218 BC, it spread via migrants from Rome to the Iberian Peninsula. It was, however, spoken only by the common people and was called lingua vulgar or ‘ordinary language’. At the time, Latin was the language used by the elite for all administrative and official written tasks. In 1290, King Dinis elevated the language to an official status and named it Portuguese. 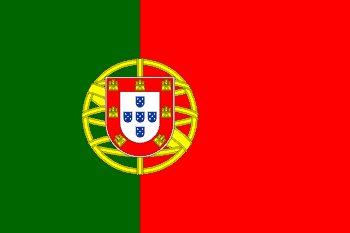 Portuguese is the official language of seven countries around the world. Approximately 220 million people all over the world speak the language. These are Portugal, Angola, Cape Verde, Brazil, Mozambique, Guinea-Bissau, São Tomé and Príncipe. Some other countries such as Macau, Equatorial Guinea, and East Timor have given it the co-official language status. It is also still spoken in some areas that were, at some point, colonised by Portugal like Goa, Daman and Diu in India, Flores in Indonesia, Malacca in Malaysia, and Batticaloa in Sri Lanka. Schools in South America and certain African nations even offer the language as a study subject. .
Like Latin, there are 26 letters in the Portuguese alphabet. Accents denote the 14 vowel sounds in the language. The letters, k, y, and w were, for some time from the 1940s, considered foreign and not used in the language. This changed in 2009 when they were incorporated in the alphabet again. Spelling rules too were re-written in 1916 in Portugal and it was decreed that the words in the language would be spelt the same way they were pronounced. Brazil too followed the same rules for a while before making amendments in 1970. . The language differs from region to region. The Portuguese spoken in Brazil is quite different from the one spoken in Portugal and other regions of Europe. Even the accents are sometimes different. The vocabulary too can be quite distinct from each other and grammatical differences are evident too. The dialects of the language that are spoken in Africa, Asia, and some parts of America are creoles which have merged Portuguese with the local syntax, grammar, and vocabulary to create an entirely new language altogether. .
Portuguese has been the lender to many languages in the world, especially in areas that were colonised by the Portuguese at one time. Thus, many words in Hindi, Tamil, Konkani, Swahili, Japanese, and Sinhala have Portuguese words that are immersed in the local language. Proposals were made in 2009 to unify all Portuguese-speaking nations by creating a common code for written Portuguese. However, the plan is still being worked upon. .